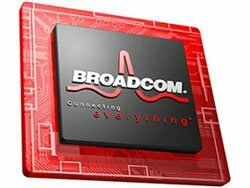 Broadcom today announced that it is the first silicon provider to ship a true single die Blu-ray Disc chip. According to the company, the BCM7630 offers an “unprecedented level of integration” combining optical front-end and back-end video decoding and display technologies in a single die solution. In addition it supports internet streaming applications including Netflix 2.0, Pandora Internet Radio, BD-Live, Vudu, CinemaNow movie services and others. 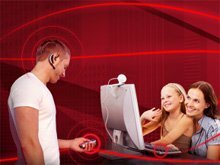 Broadcom announced that it is offering its BroadVoice family of voice codecs royalty-free and without any licensing fees. 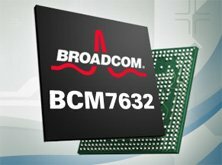 “As a direct response to customer demand for advanced, high-quality voice solutions and development tools”, Broadcom is releasing its wideband and narrowband BroadVoice codecs in both floating-point and fixed-point C code as open source software under the GNU Lesser General Public License (LGPL), version 2.1, as published by the Free Software Foundation. DivX has announced the high-definition DivX certification of Broadcom Corporation’s BCM7405 system-on-a-chip (SoC) solution. It supports the playback of DivX 1080p content, and other key integrated features for digital television content such as recording, playback, time-shifting and trick modes.